A beautiful stand of red clover can provide as much as 75 kg of nitrogen per hectare (when at 40 cm tall) for next years corn crop. However, if the clover crop is not “killed off” in the fall, then preparing a suitable seedbed to plant next years crop in is often significantly delayed resulting in reduced yields. 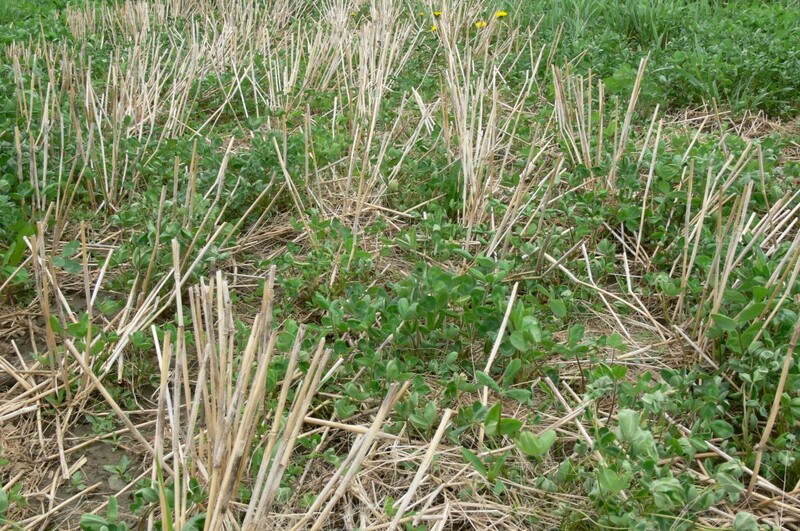 A review of different strategies to control red clover in the fall are presented below. When is the best time to retire the red clover stand? 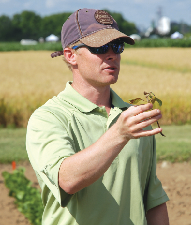 A research project conducted by Dr. Steve Bowley (University of Guelph) demonstrated that red clover gains significant root biomass during the month of October. Therefore killing off the stand in September could be shorty changing your nitrogen credit for next spring. Results of Dr. Bowley’s study is nicely summarized in this short 10 min presentation. 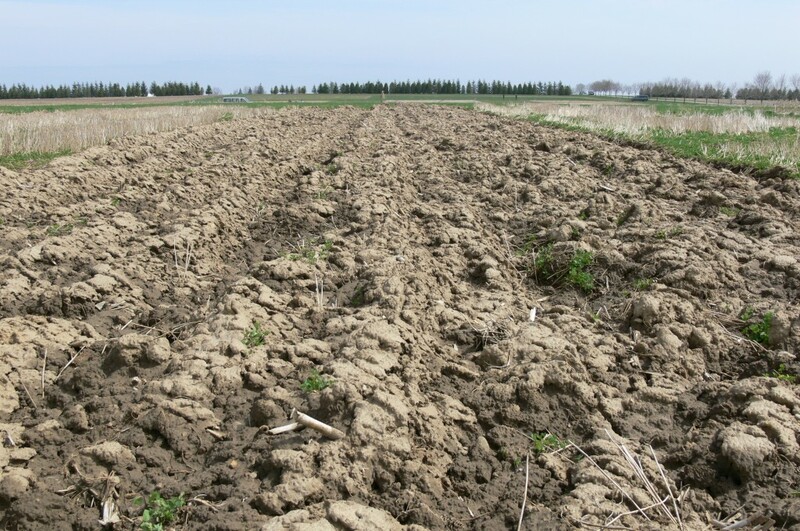 Fall plowing is the only effective tillage operation for managing red clover (Figure 1). If your preference is to use less aggressive tillage (e.g. 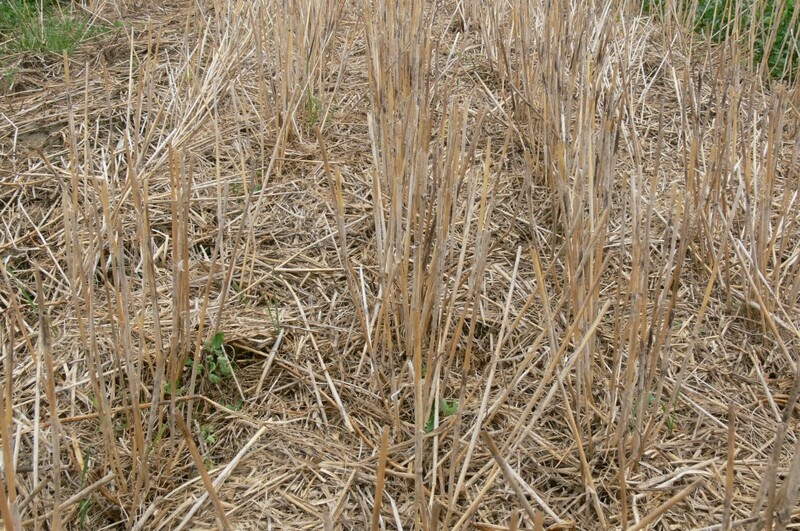 chisel plow – Figure 2) or no-till, then a herbicide burndown is needed. Research conducted by the University of Guelph has consistently shown that the best and most cost effective herbicide for controlling red clover is dicamba (e.g. Banvel II, Oracle, Hawkeye) applied at 600 mL/ha (or 250 mL/ac – refer to Figure 3). The application timing of dicamba in many of these trials has gone into to mid- to late-October. This is also an opportune time to manage perennial weeds (using a glyphosate + dicamba tank-mix). The key is to ensure that the air temperature at application is greater than 10 ºC, and that the nighttime temperature after application stays ideally at 5 ºC or greater. Figure 3. 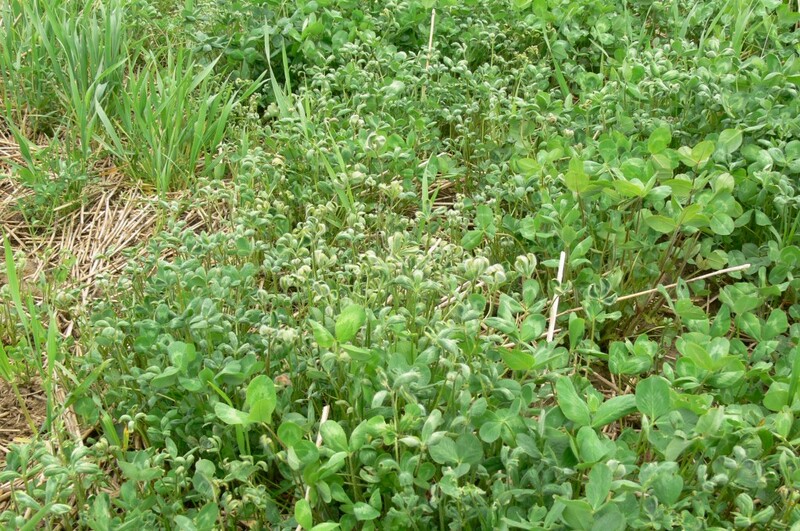 Control of red clover in the spring following a fall application of dicamba. Note that glyphosate will have to be tank-mixed with dicamba to remove volunteer cereals. Can I Reduce the Rate of Dicamba or Use 2,4-D Instead? When dicamba rates were reduced to 300 mL/ha (125 mL/ac), red clover control was unacceptable (refer to Figure 4). 2,4-D (660 g/L) has been inconsistent in recent public trials when applied alone at 1.25 L/ha (500 mL/ac – Figure 5). The addition of 2,4-D to glyphosate (Figure 6) has not significant improved control of red clover when compared to glyphosate alone (Figure 7). However, over a decade ago, Dr. Clarence Swanton (University of Guelph) observed effective control of red clover with fall applications of glyphosate + 2,4-D. Figure 4. 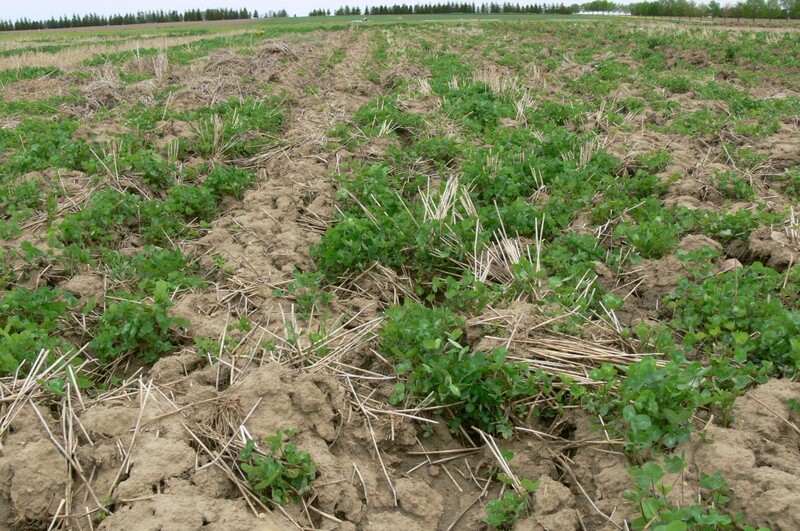 Control of red clover in the spring following a fall application of dicamba at a reduced rate (125 mL/ac). Figure 5. 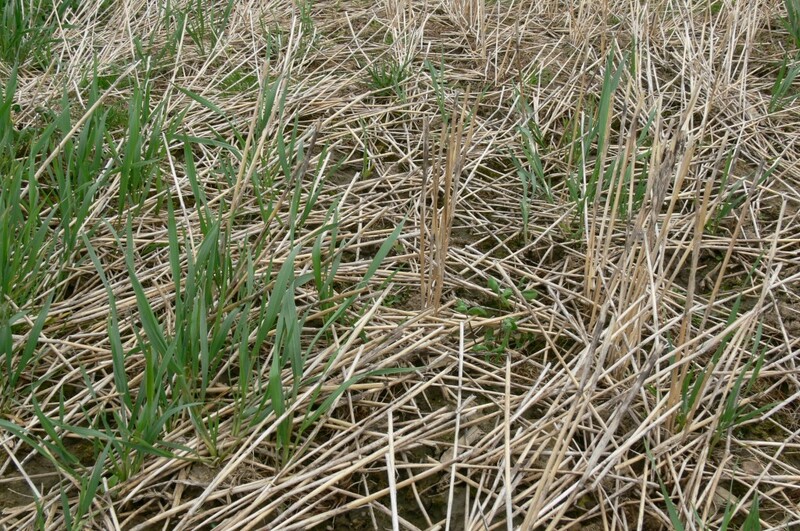 Control of red clover in the spring following a fall application of 2,4-D. Figure 6. 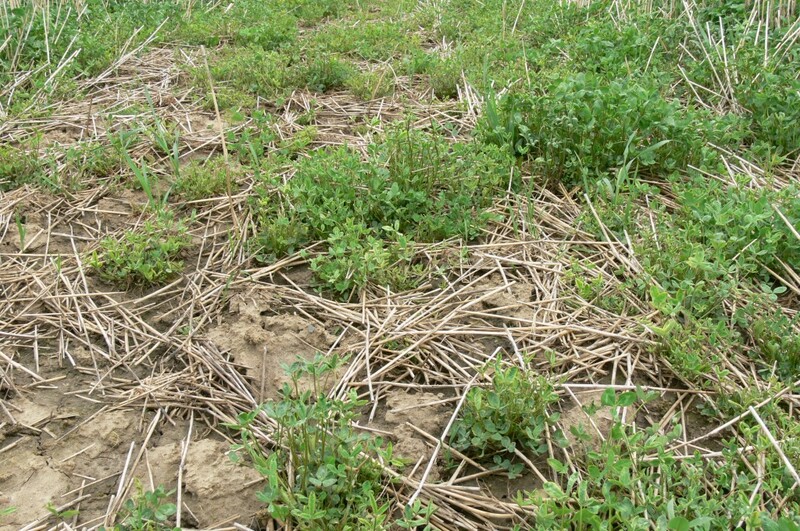 Control of red clover in the spring following a fall application of glyphosate + 2,4-D. Figure 7. 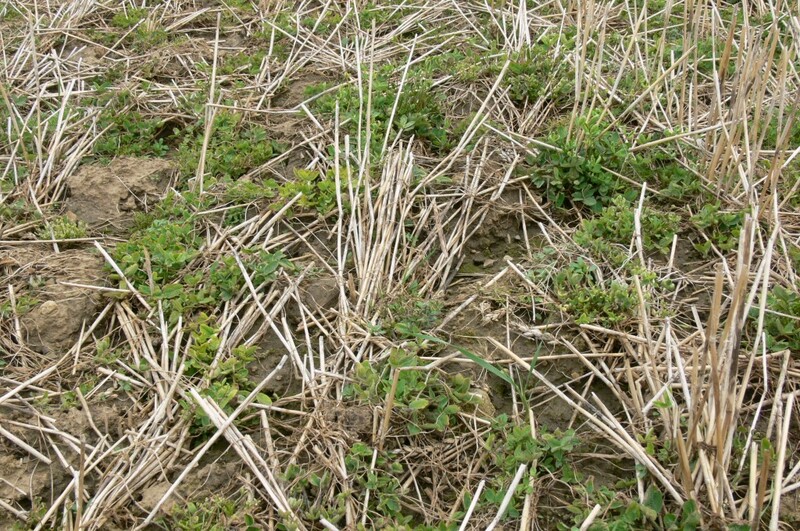 Control of red clover in the spring following a fall application of glyphosate alone. Table 1. Red Clover Control and relative cost of various fall management strategies. Since dicamba won’t control any volunteer wheat (Figure 3), glyphosate will need to be tank-mixed (Figure 8). The lowest labeled rate of a glyphosate 540 g/L concentration (i.e. Roundup Weathermax) that can be tank-mixed with dicamba for the control of volunteer cereals is 0.5 L/ac. Figure 8. Control of red clover in the spring following a fall application of glyphosate + dicamba.